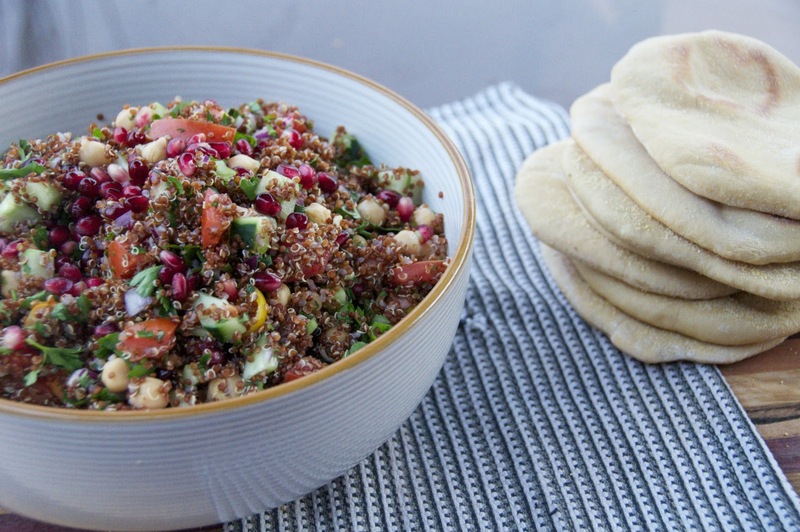 see you in the morning: Pomegranate Quinoa Tabbouleh + Fresh Pita + Hello! 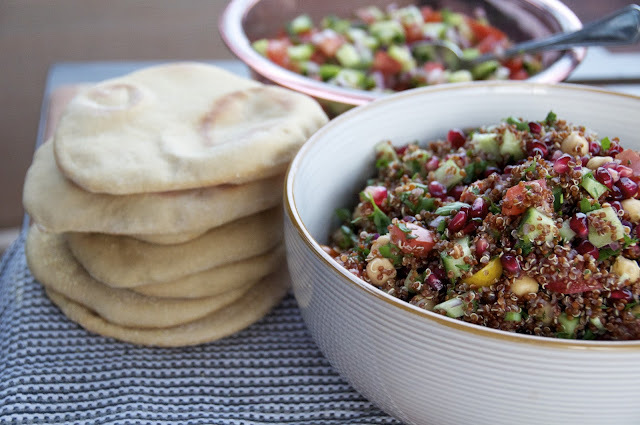 Pomegranate Quinoa Tabbouleh + Fresh Pita + Hello! back in action. not back to normal sleeping hours. but back! 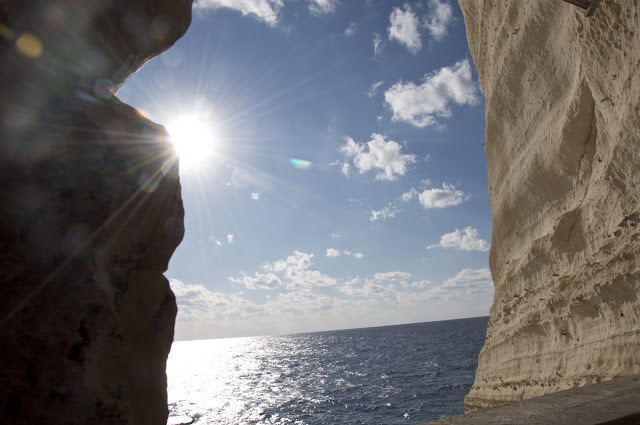 with a fresh new look at the world, a lot of photos, and an undying hunger for falafels at all moments of the day. 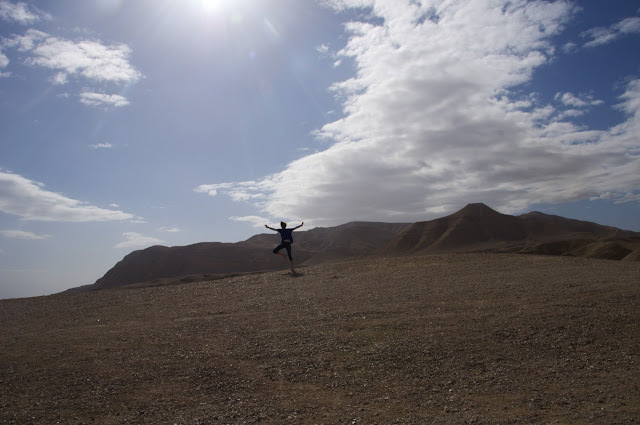 i have been off in israel...AND it was truly so much more awesome than i could have ever expected. i met incredibly phenomenal people that i am totally in friend love with... it feels so wonderful to bond with such amazingly different people. we got attacked by dust storms, and rode together in a large circle on camels, and floated on top of a sea that is dead. we sat in silence under the stars in the middle of the dessert, shattered a lot of dinner glasses, and saw old powerful places. mind blowing stuff. i feel crazy lucky to have seen it. but now i'm just annoyed. after the first couple days of getting my sushi and peanut butter fixes, i thought i was back to normal, ready to act like myself again and eat cake for breakfast. all i need is more israeli food. more eggplant please. more za'atar. more falafel balls in my face. more sCHwarma. now. 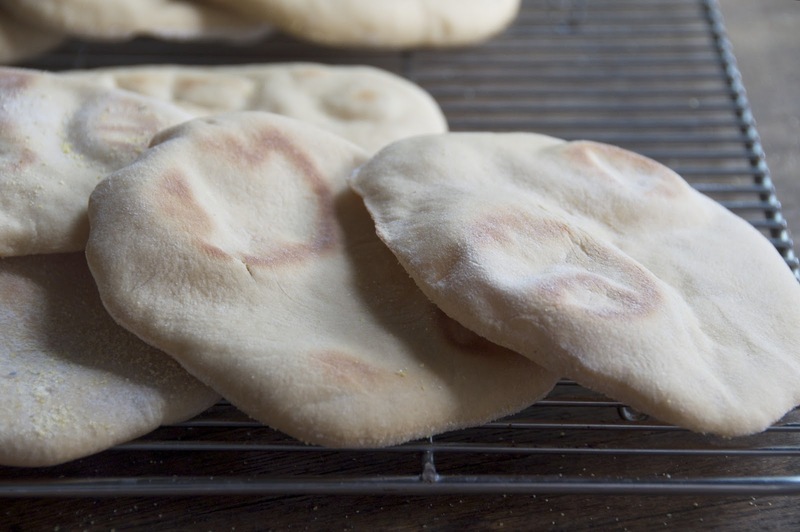 so, since there is not an old israeli man on the corner of my street selling fat stuffed pitas, i simply must make my own. light and puffed hot out of the oven. 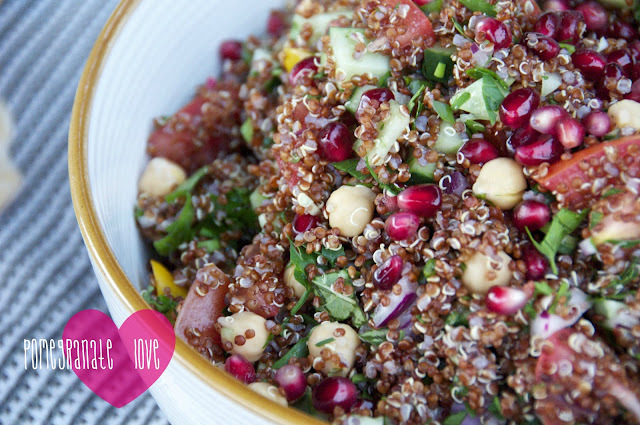 and israeli salad. 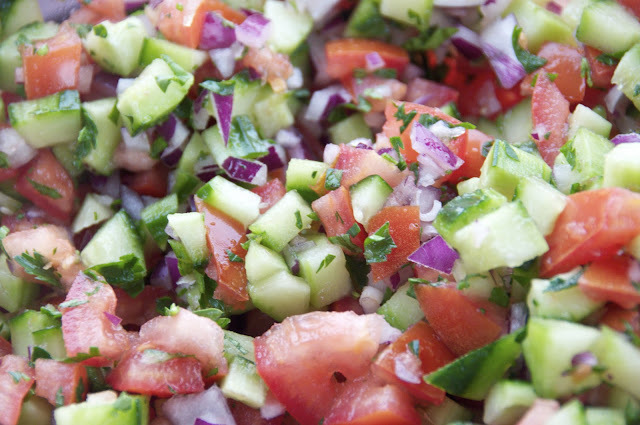 because cucumbers and tomatoes are part of every israeli meal. duh. food with beautiful colors makes me smile awkwardly to myself. there, the first real food i've made since coming home. it feels a little weird to get back into the groove. but i've missed you, oh blog! i could give you a real hug if you came over. seriously, come over. i made way too much pita. in the bowl of a stand mixer, combine the yeast, honey, and 1/2 cup warm water. stir gently to blend. whisk 1/4 cup of the bread flour and 1/4 cup of the white whole wheat flour into the yeast mixture until smooth. cover the bowl with plastic wrap and set aside until doubled in bulk and bubbly, about 45 minutes. remove the plastic wrap and return the bowl to the mixer stand, fitted with the dough hook. 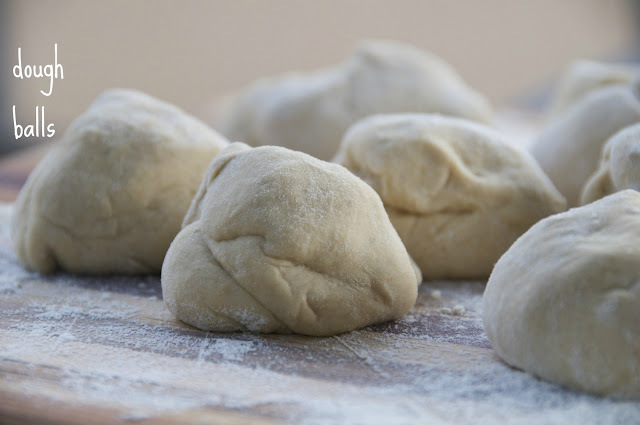 add in the remaining 3/4 cup warm water, 1 1/4 cup bread flour, 1 1/4 cup white whole wheat flour, olive oil, and salt. knead on low speed until the dough is smooth and elastic, about 8 minutes. transfer the ball of dough to a lightly oiled bowl, turning once to coat. let rise in a warm place about 1 hour, until doubled in bulk. place an oven rack in the middle position. 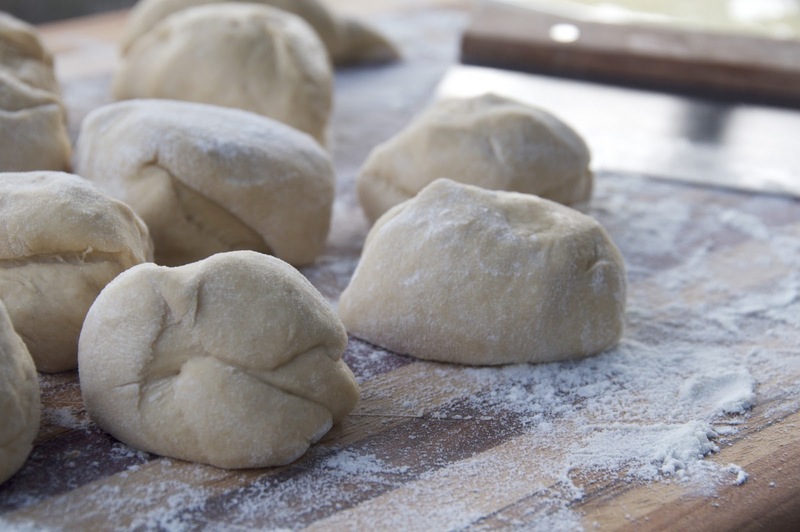 place a baking stone or baking sheet in the oven and preheat to 500.
once the dough has risen, transfer to a lightly floured work surface, punch the dough down and divide into either 8 pieces (for larger pitas) or 12 pieces. form each piece into a ball. flatten each into a disk and then stretch out into thin circles, about 6-7 inches. transfer rounds to a baking sheet or other work surface lightly dusted with cornmeal. once the rounds have been shaped, cover loosely with clean kitchen towels. let stand at room temperature for 30 minutes, until slightly puffy. 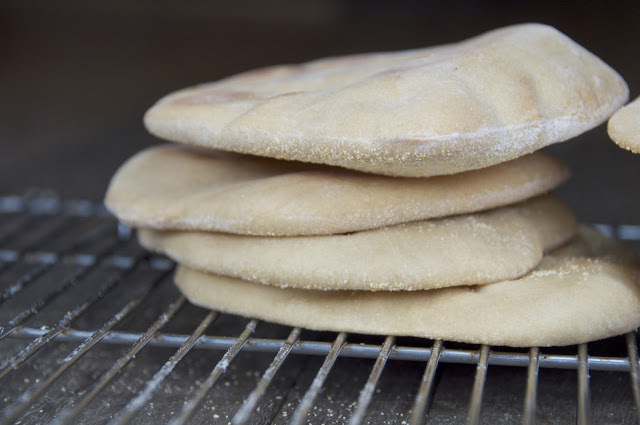 transfer 4 pitas, 1 at a time, onto the baking sheet or stone. bake 2 minutes until puffed and pale golden. 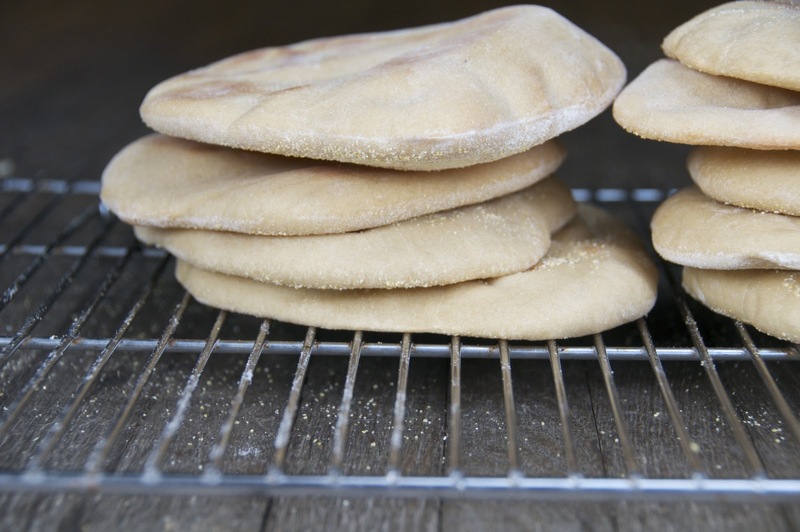 gently flip pitas over using tongs and bake 1 minute more. transfer to a cooling rack and let cool. repeat with the remaining pitas. first cook the quinoa. put 2 cups of quinoa in a saucepan with 3 cups of water and a pinch of salt and bring to a boil. reduce heat, cover, and simmer until all the water is absorbed, about 20 minutes. let rest covered for 5 minutes. fluff with a fork. toss everything together in a bowl. taste and adjust for seasoning. be like an israeli and serve alongside every meal. it might get a little wilty, but should keep for 3-ish days!